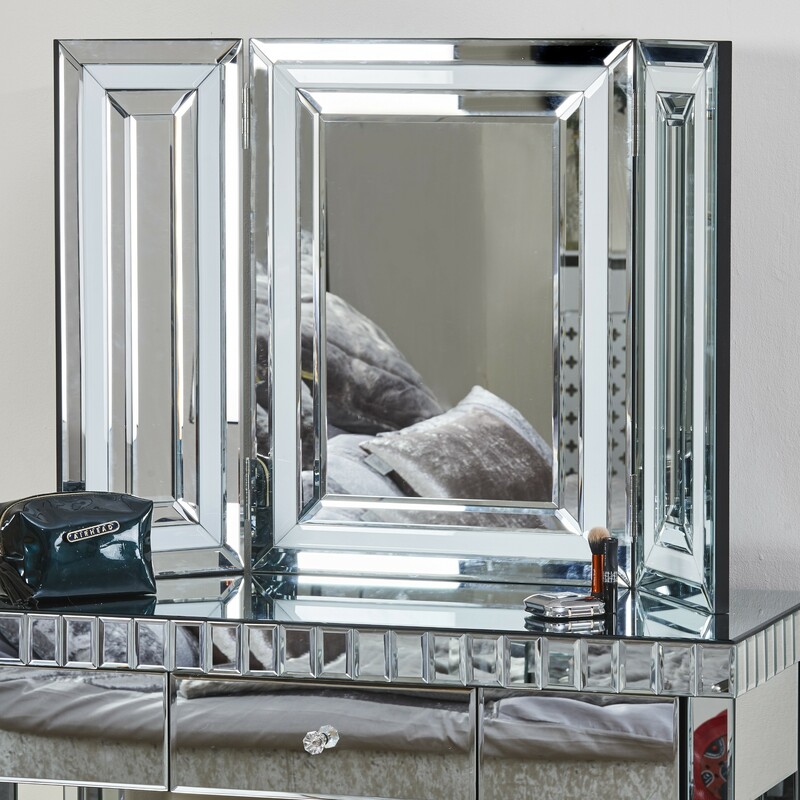 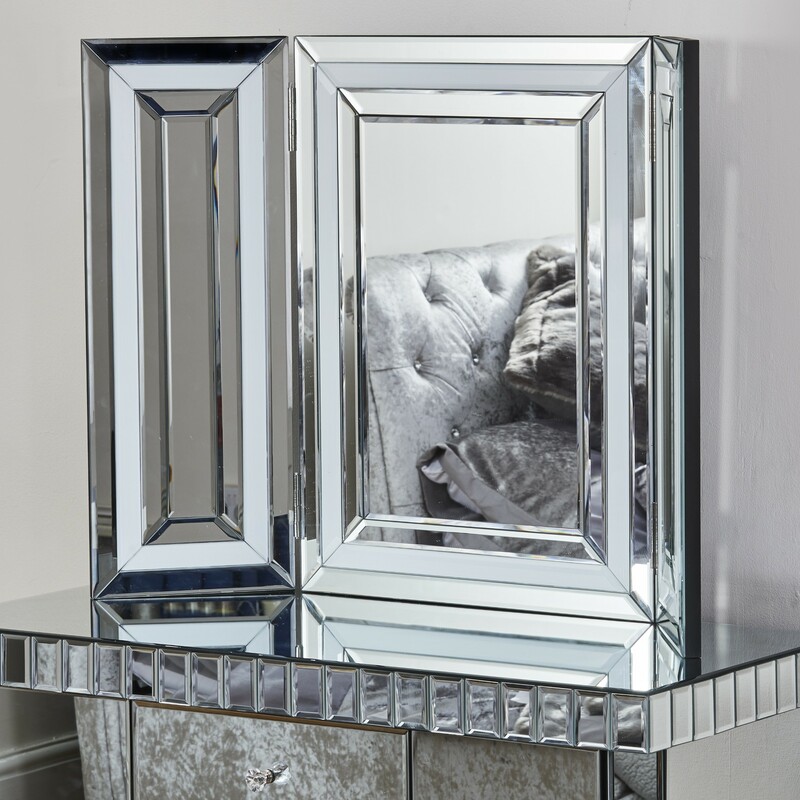 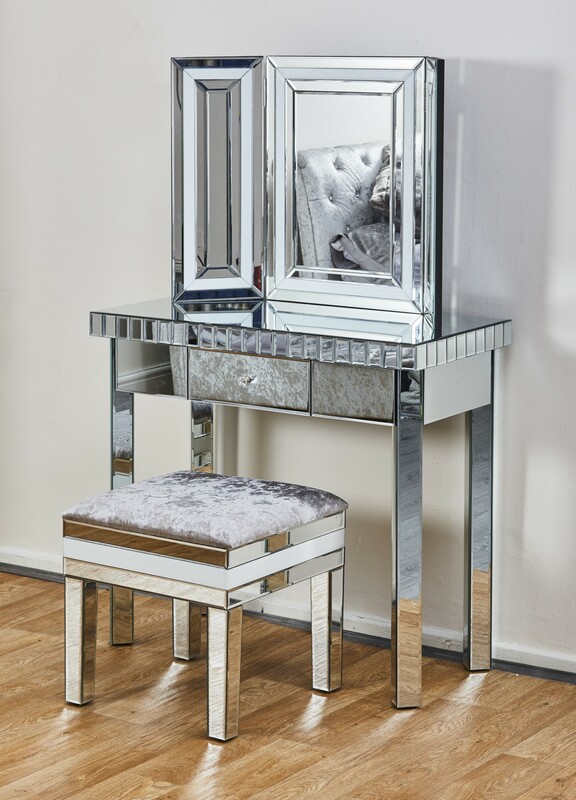 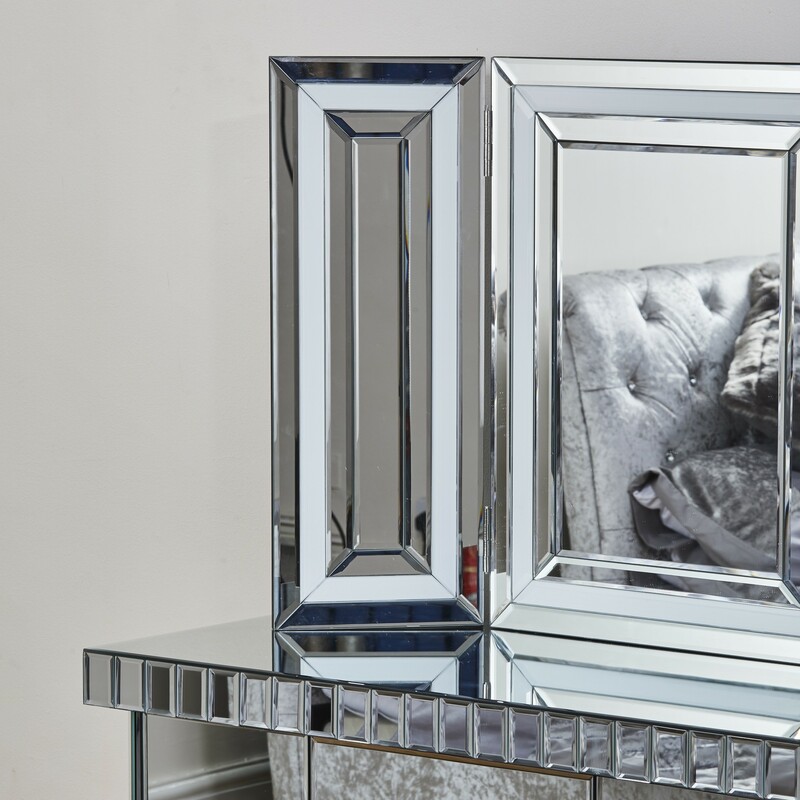 Freestanding triple vanity mirror that sits beautifully on any of our console tables to turn them into a dressing table / vanity unit. 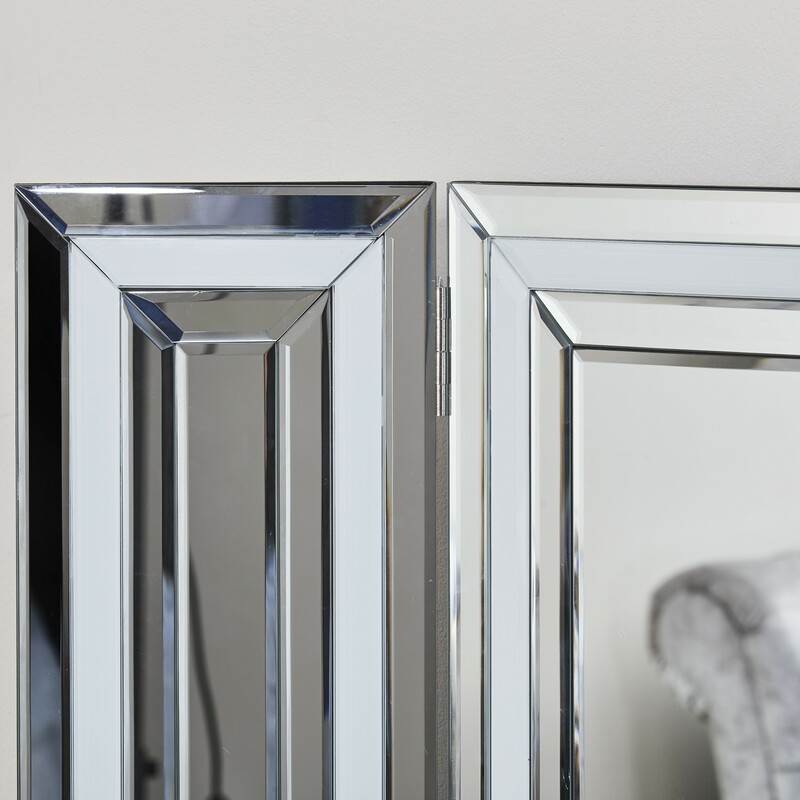 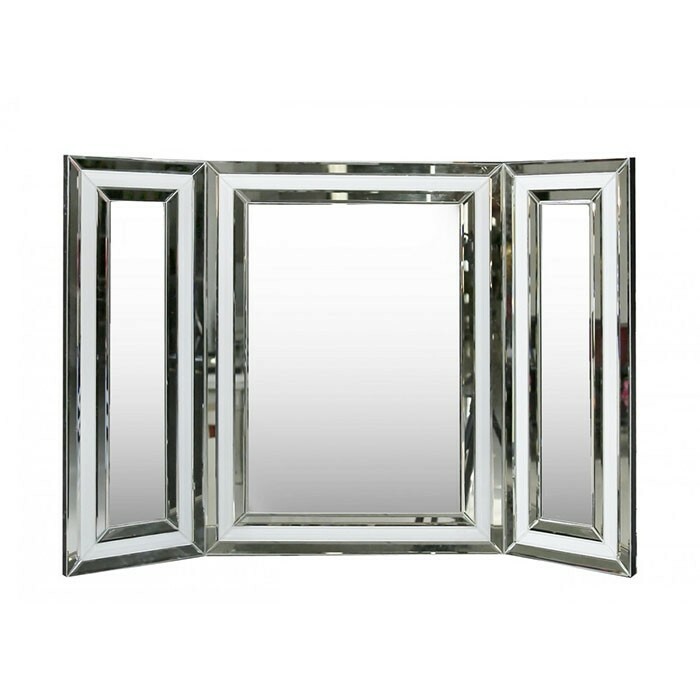 The hinges on the three mirrors ensure that you are able to place the mirrors at exactly the right angle to suit you and are set into a white glass high gloss frame giving an undeniably luxurious look to the mirrors. 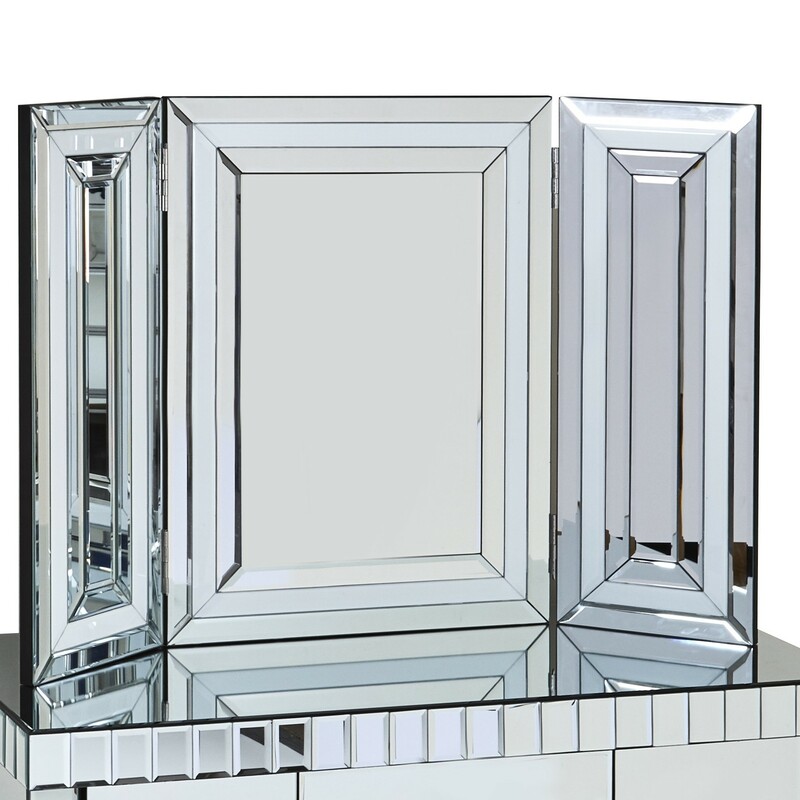 Note: Side mirrors are decorative only.